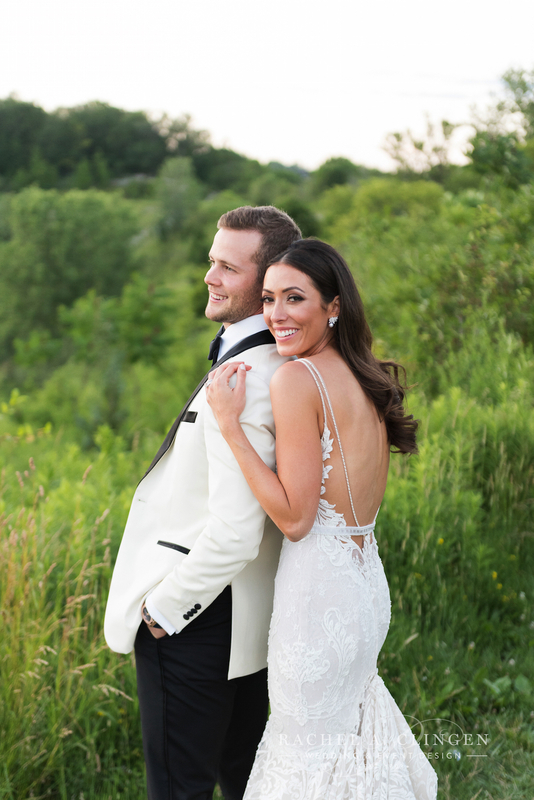 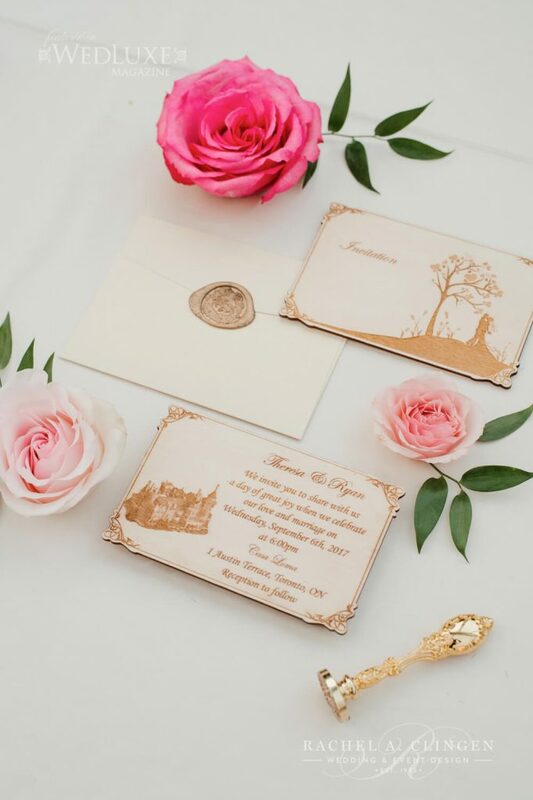 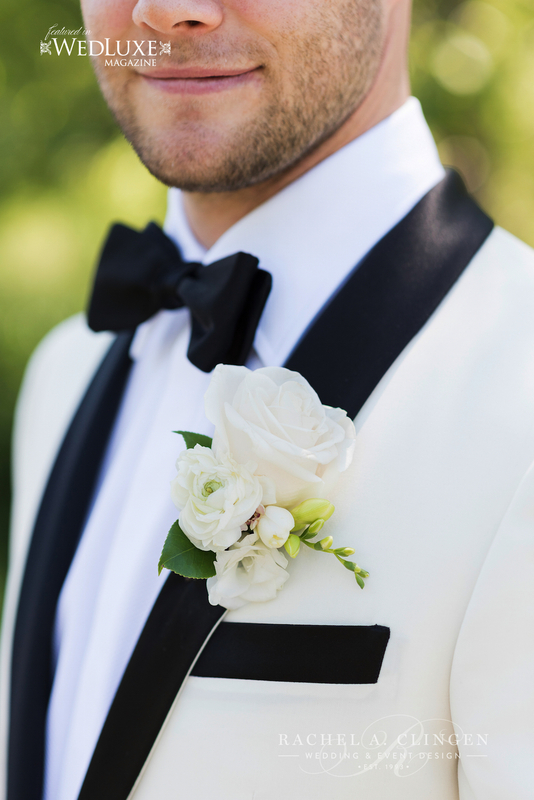 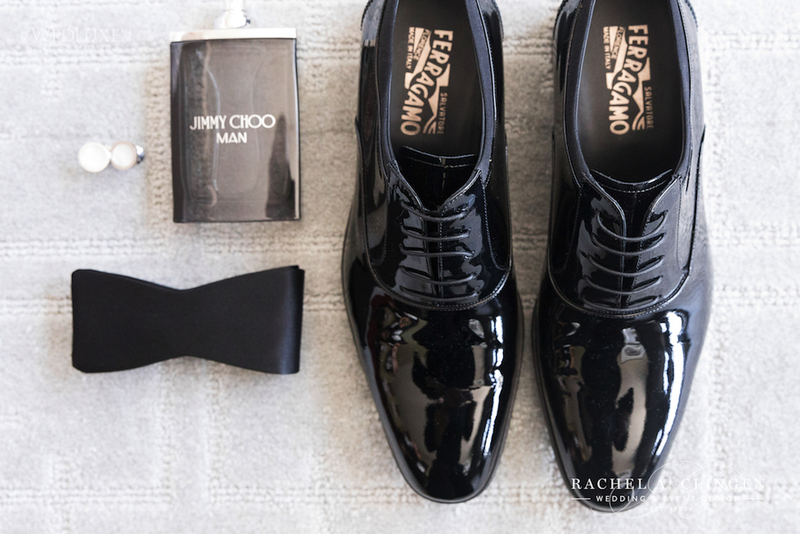 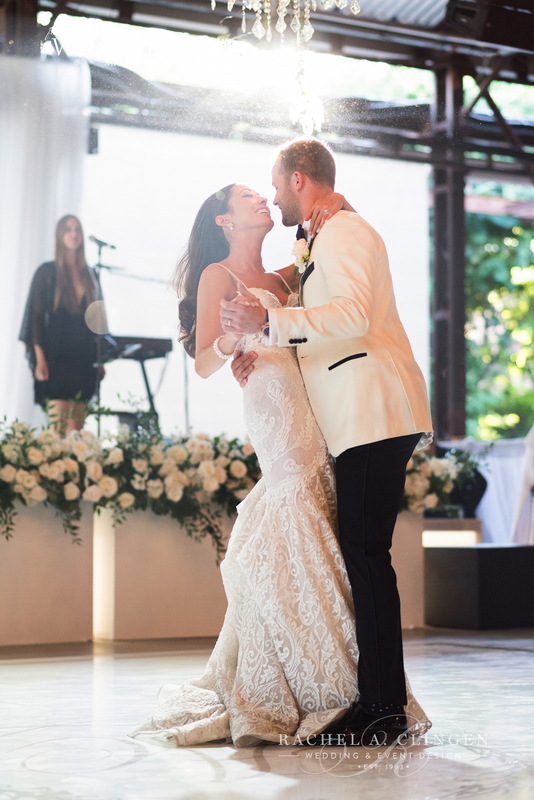 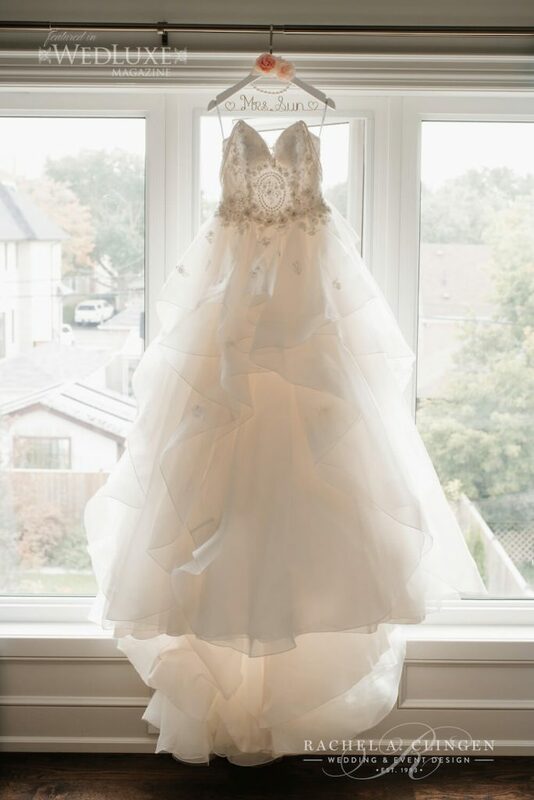 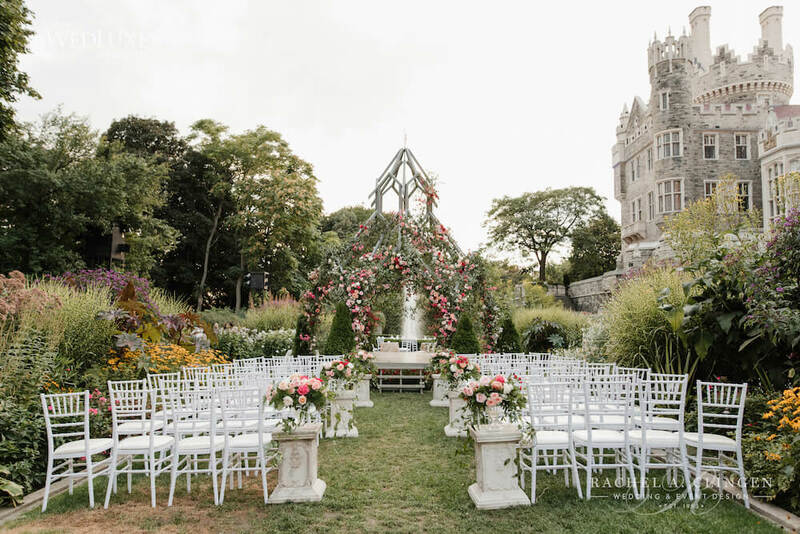 Theresa and Ryan’s gorgeous wedding at Casa Loma was representative of their fairytale story. 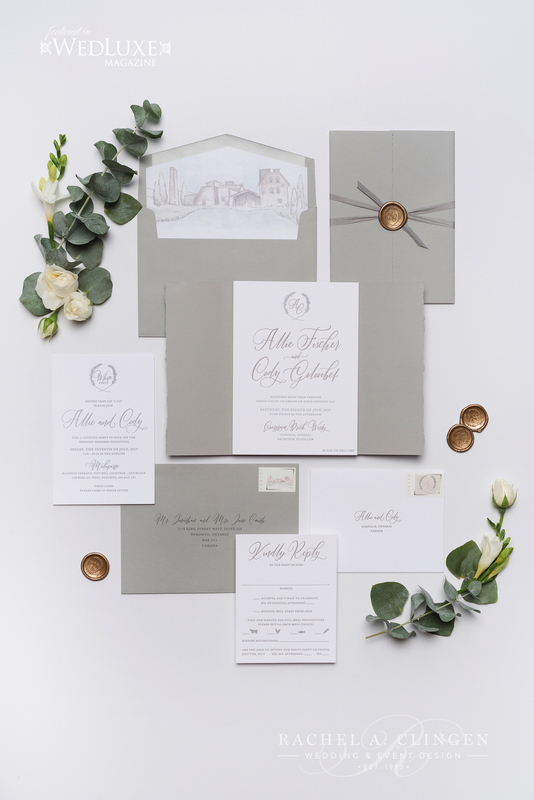 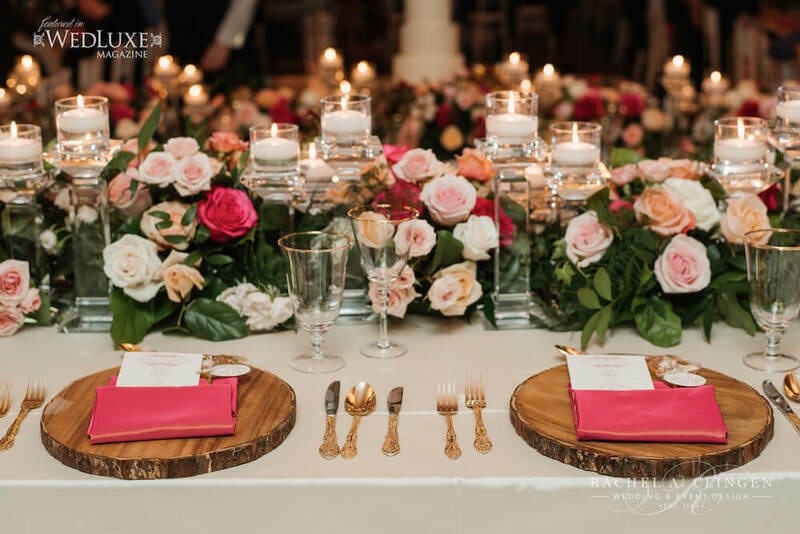 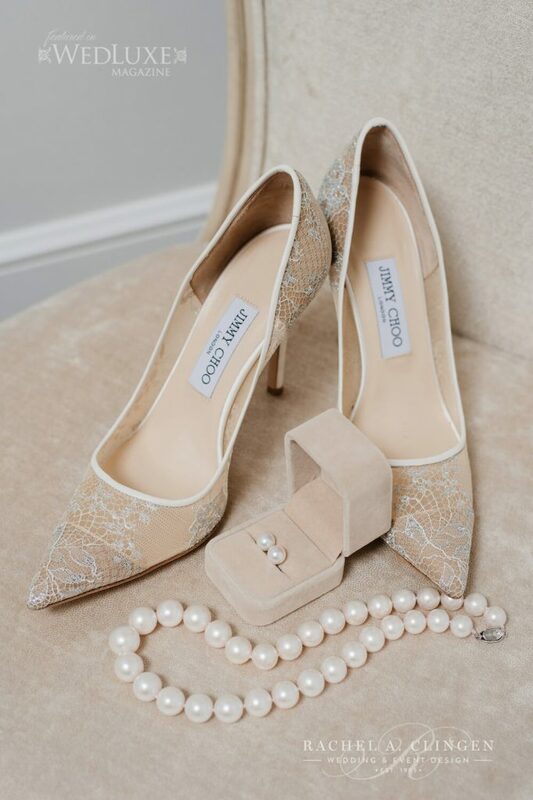 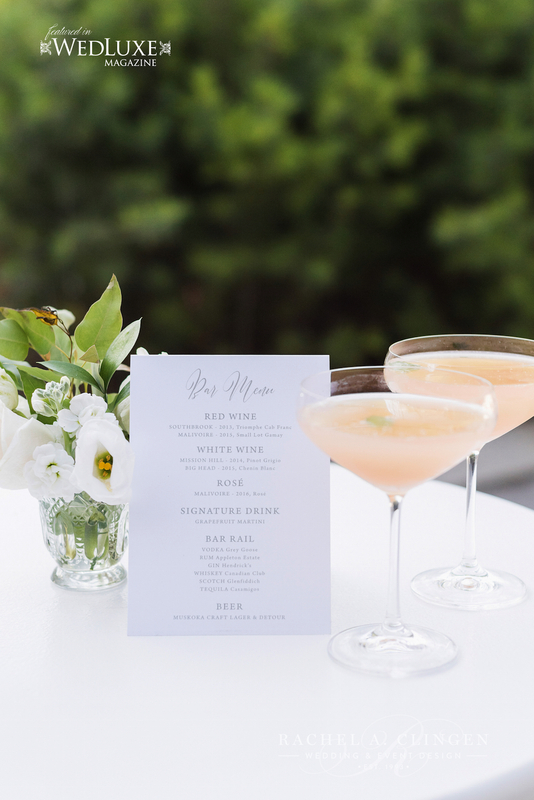 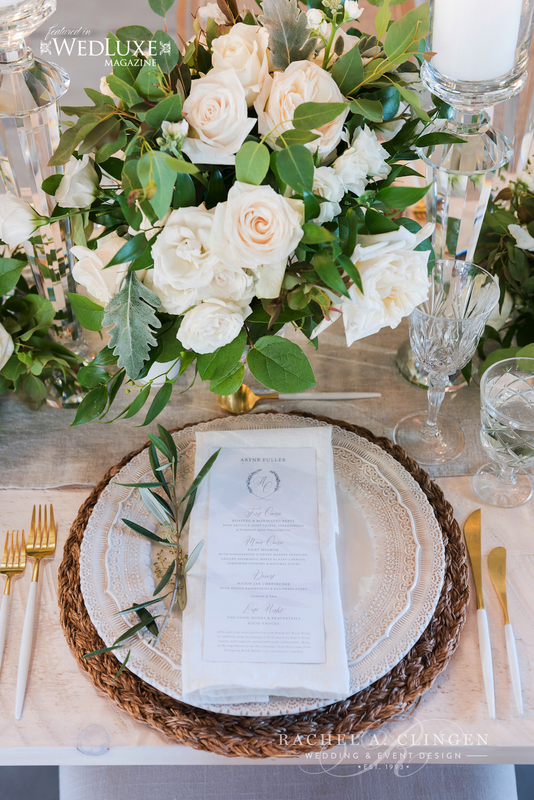 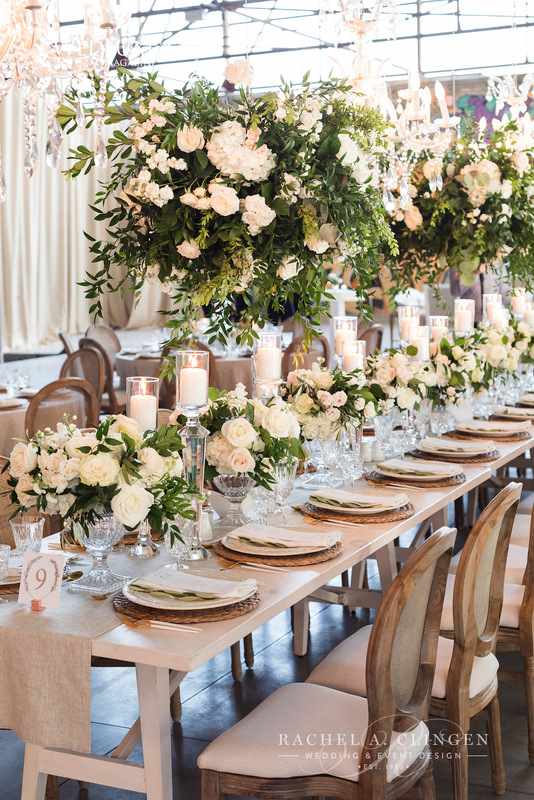 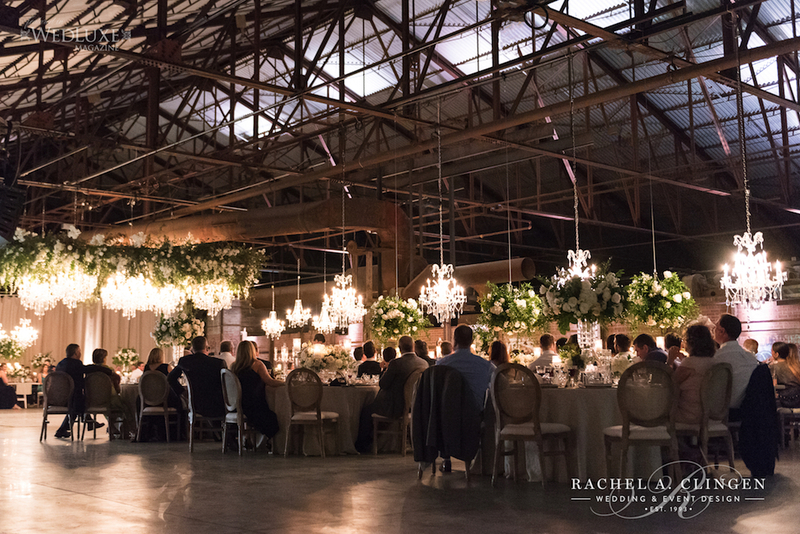 The couple wanted to incorporate rustic elements into the design while not compromising a formal look. 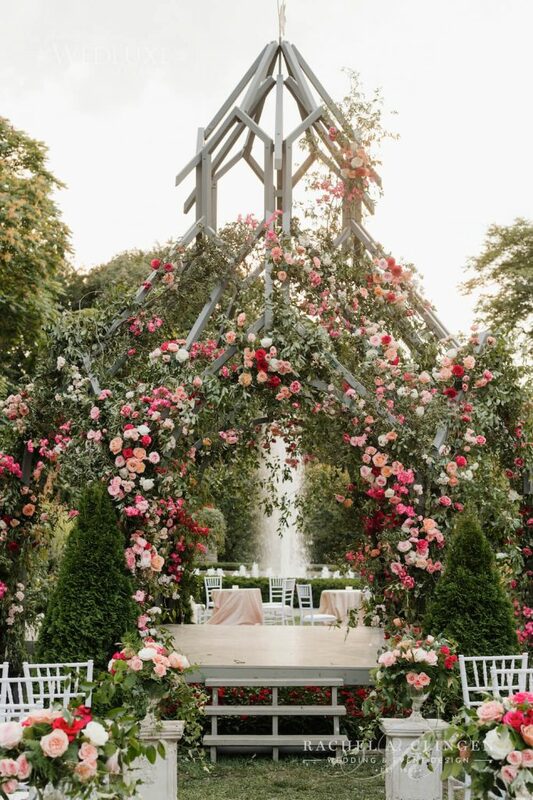 Our team created the most spectacular floral feature on the existing gazebo in the castle gardens for their intimate chinese wedding. 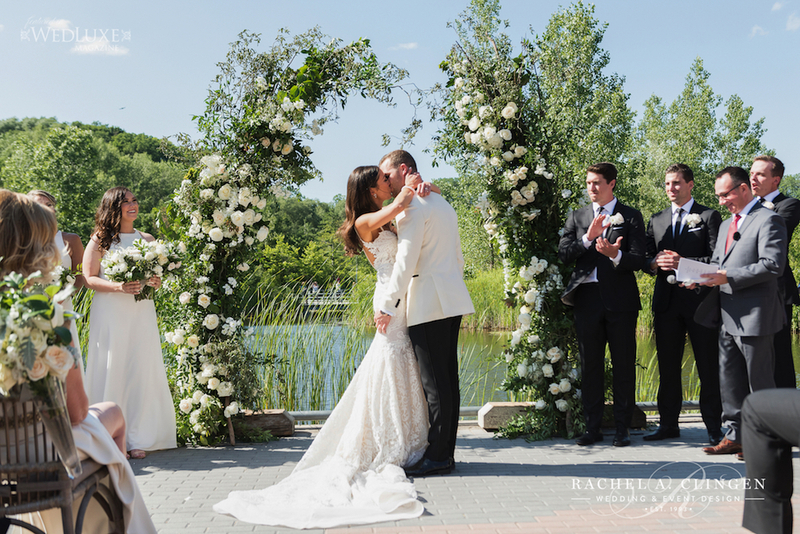 Theresa and Ryan exchanged vows under the magical structure and it was certainly a show stopper. 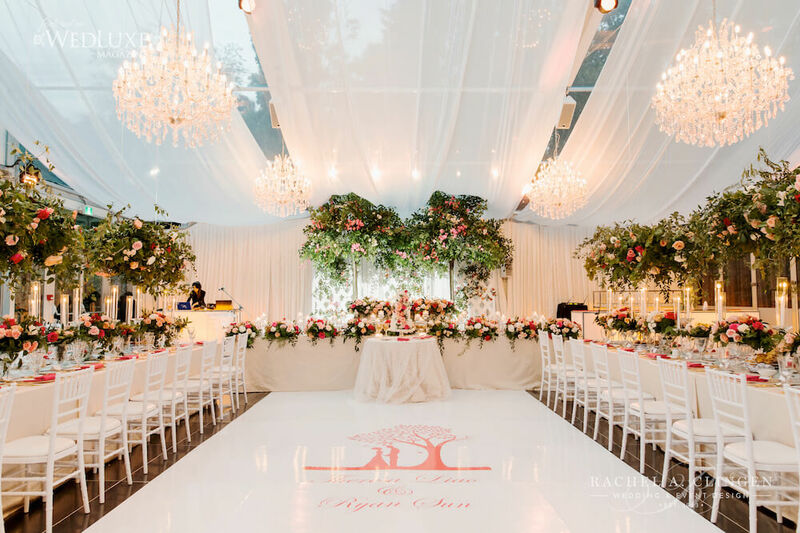 The couple also wanted to incorporate trees into their special day so we brought the outdoors into the reception tent. 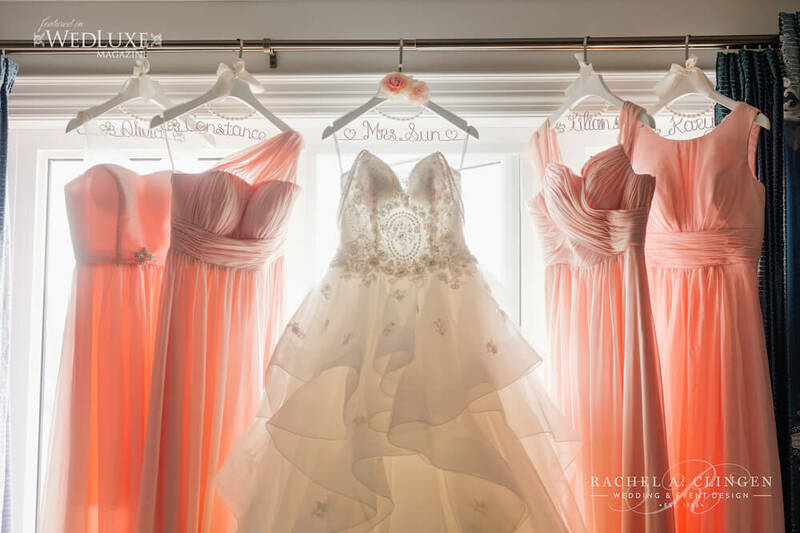 The colourful palette of corals and pinks was refreshing and elegant. 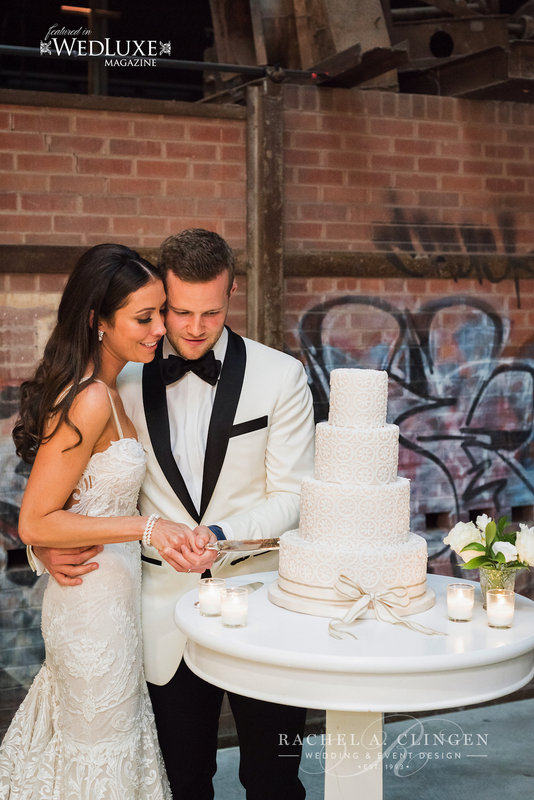 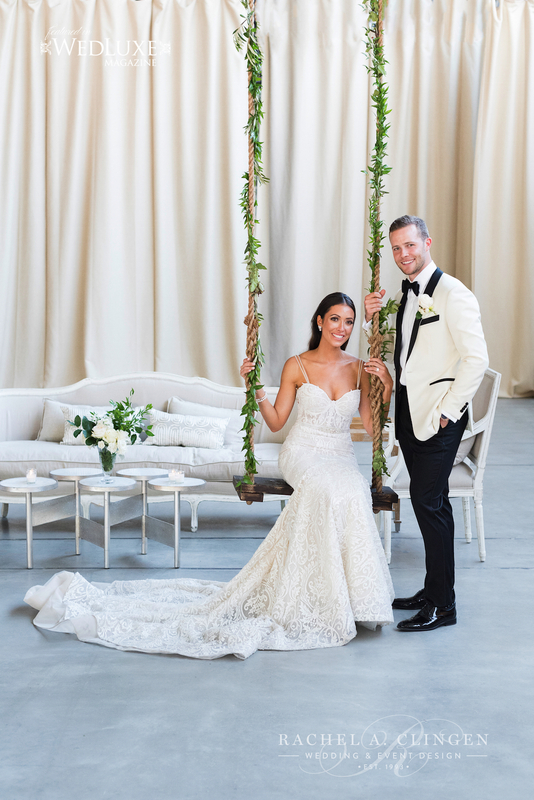 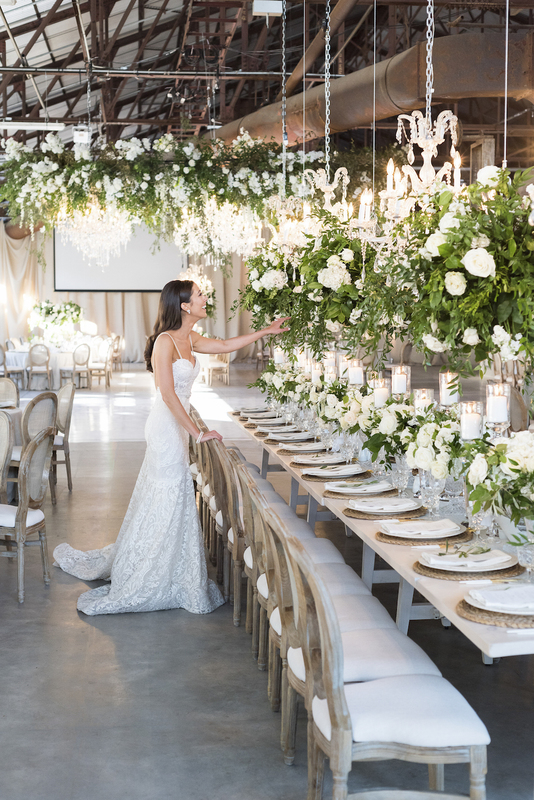 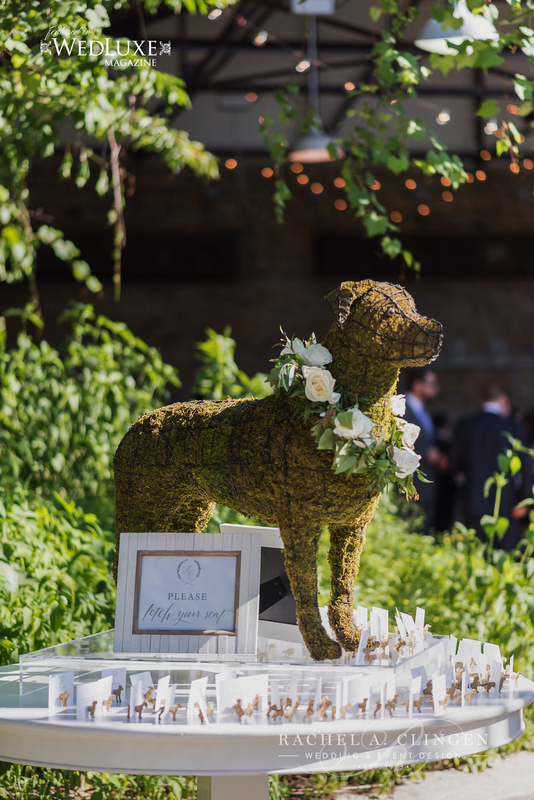 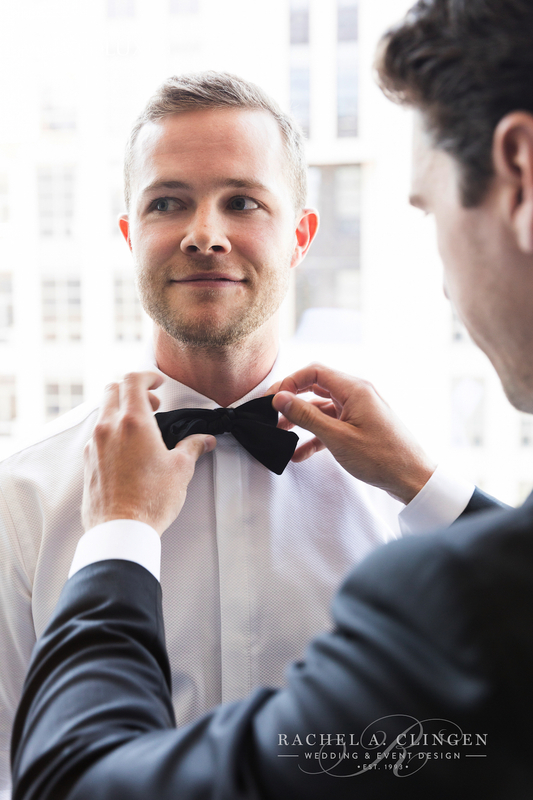 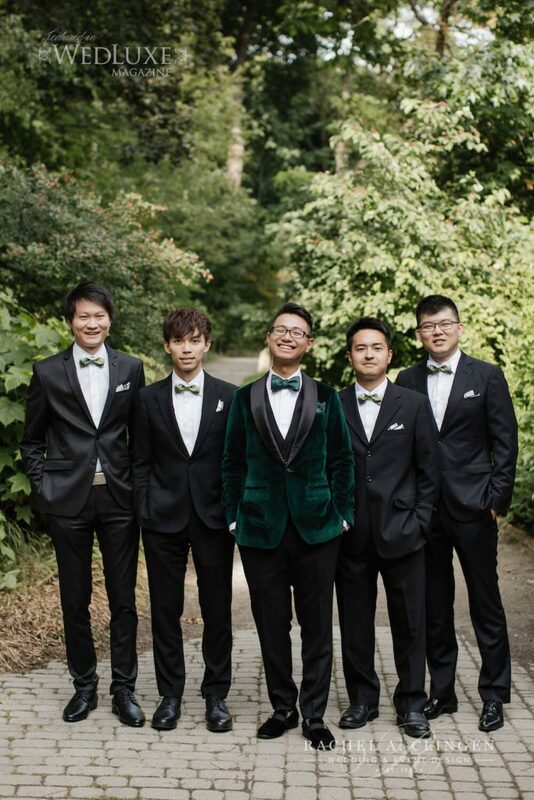 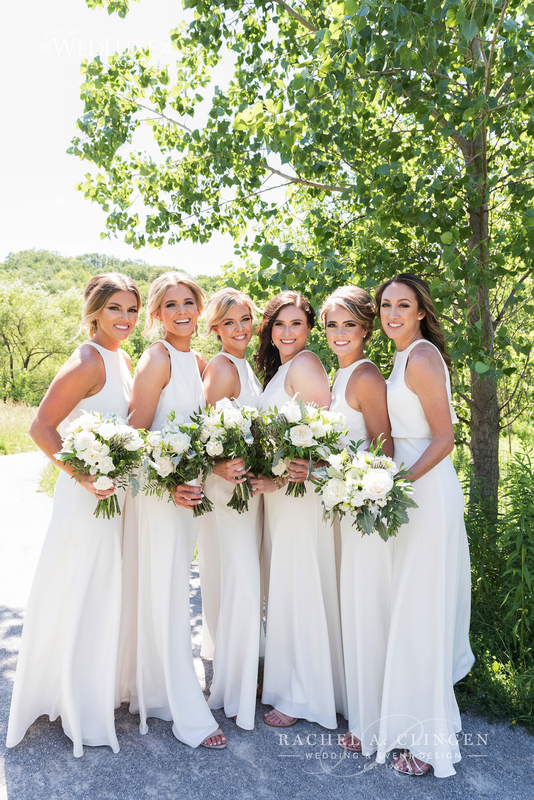 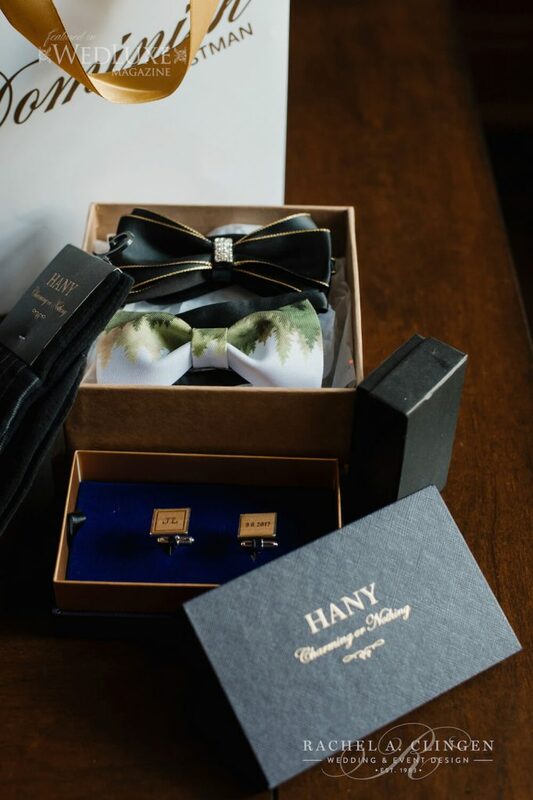 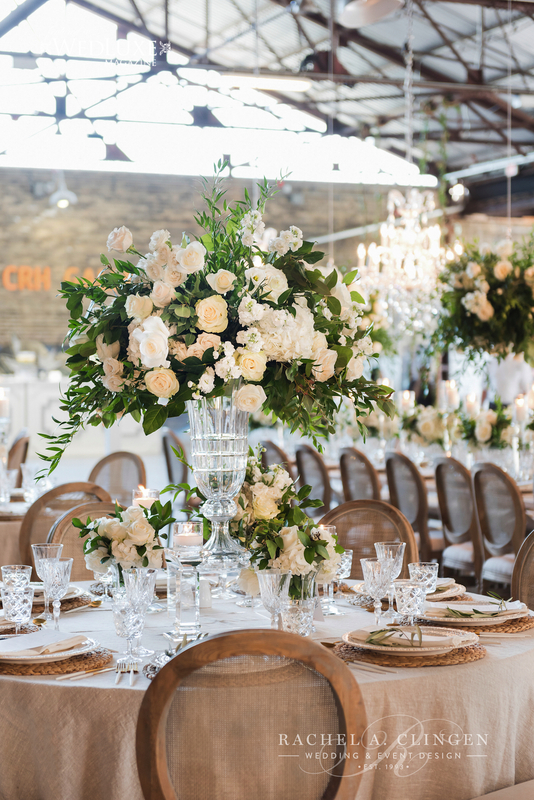 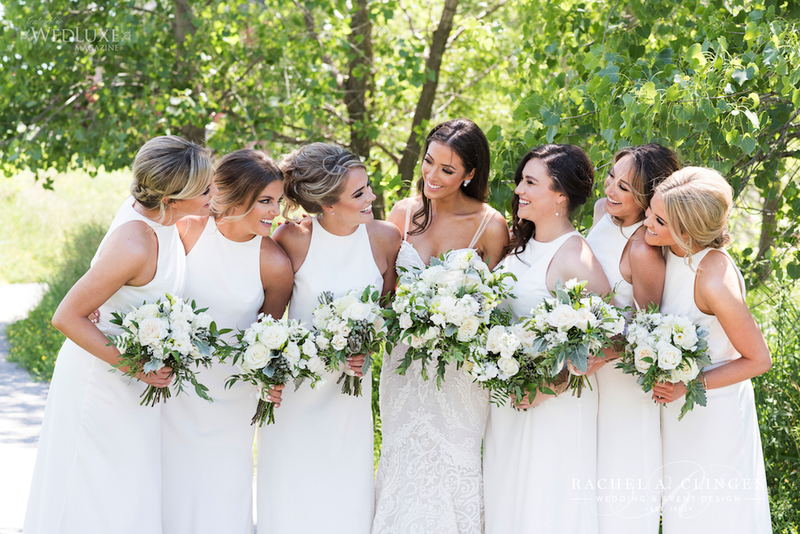 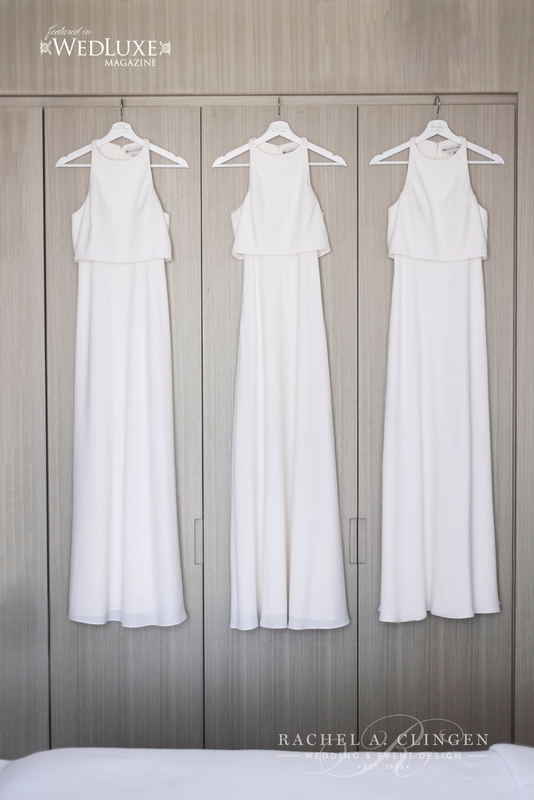 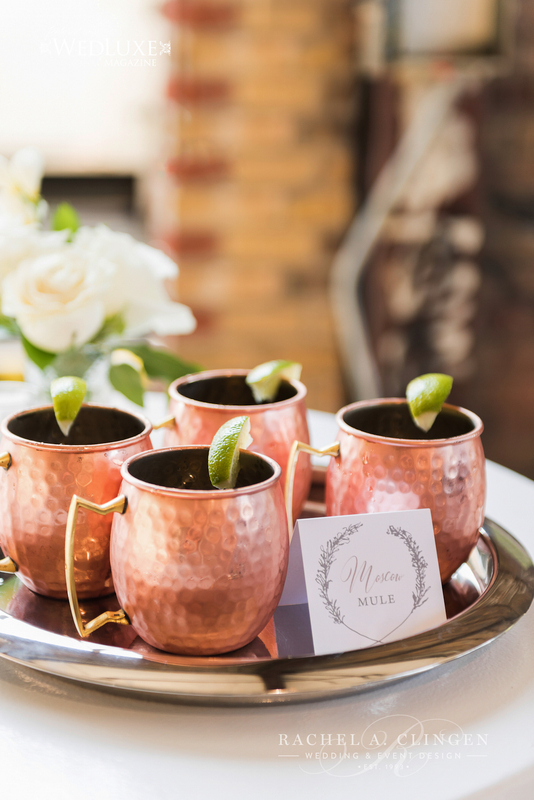 Cody and Allie’s stunning wedding at Evergreen Brickworks in Toronto still has us swooning over every beautiful detail. 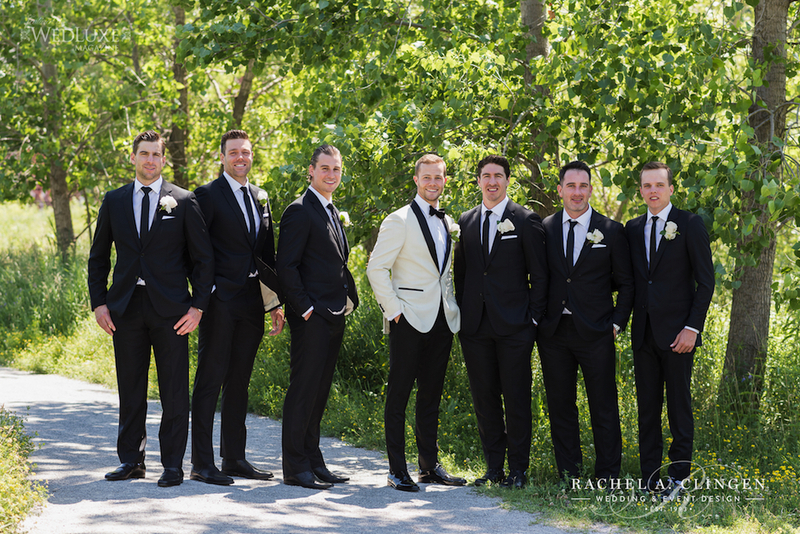 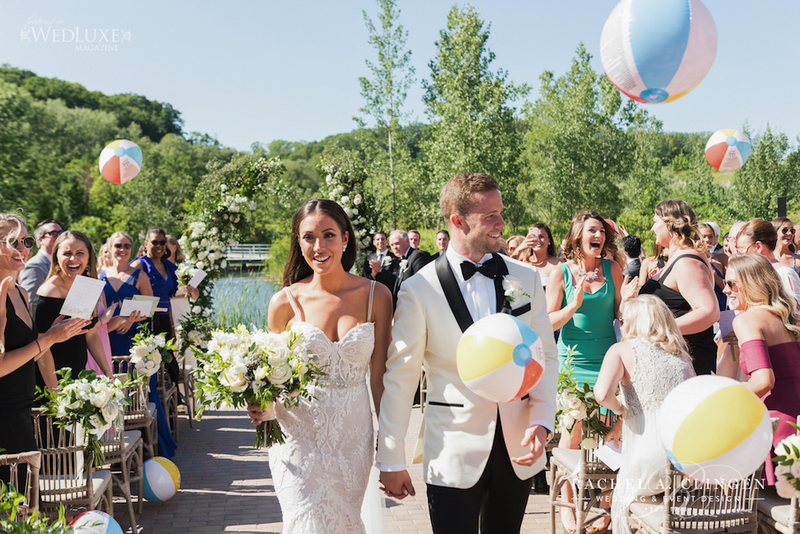 If your a hockey fan, you might recognize a few faces at their summer celebration, but all eyes were on this beautiful couple as they exchanged vows in front their closest family and friends. 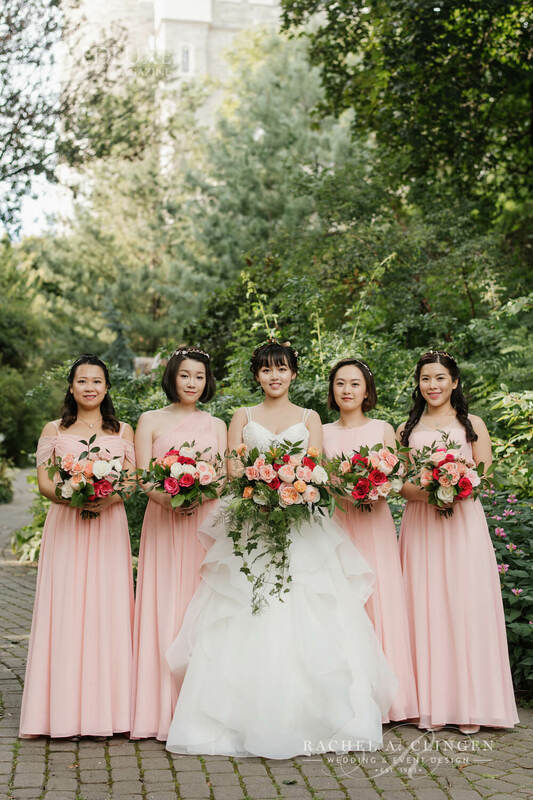 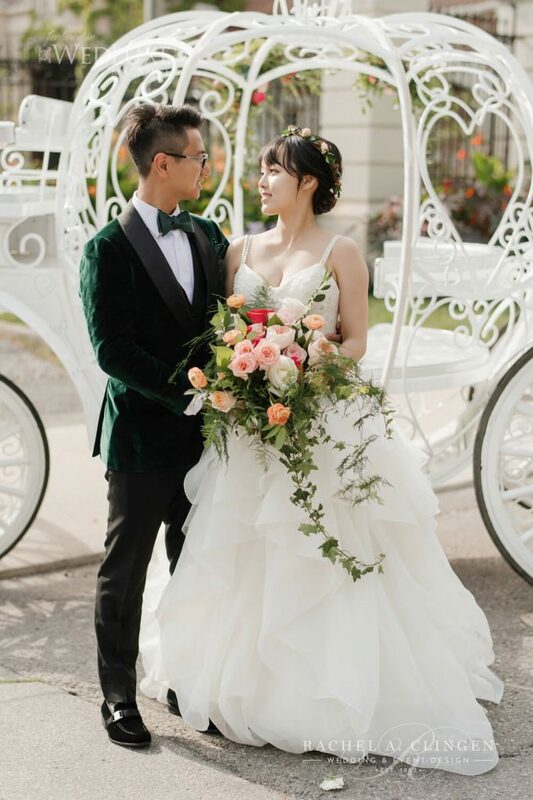 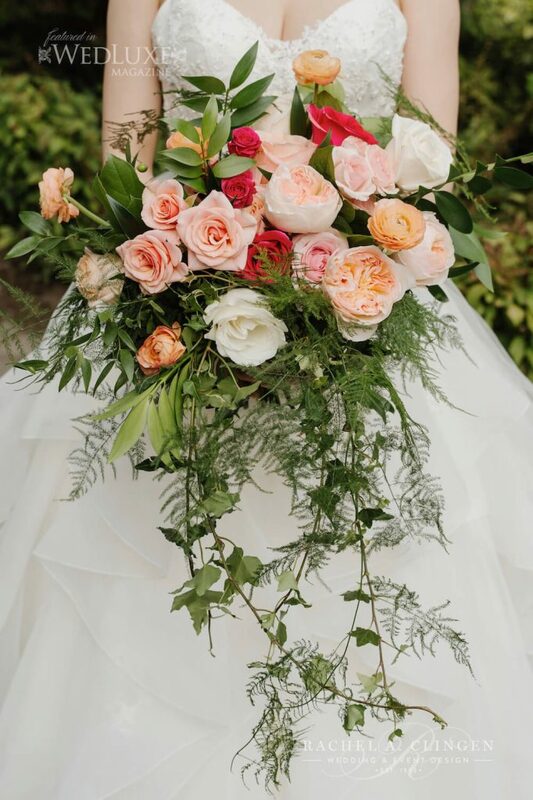 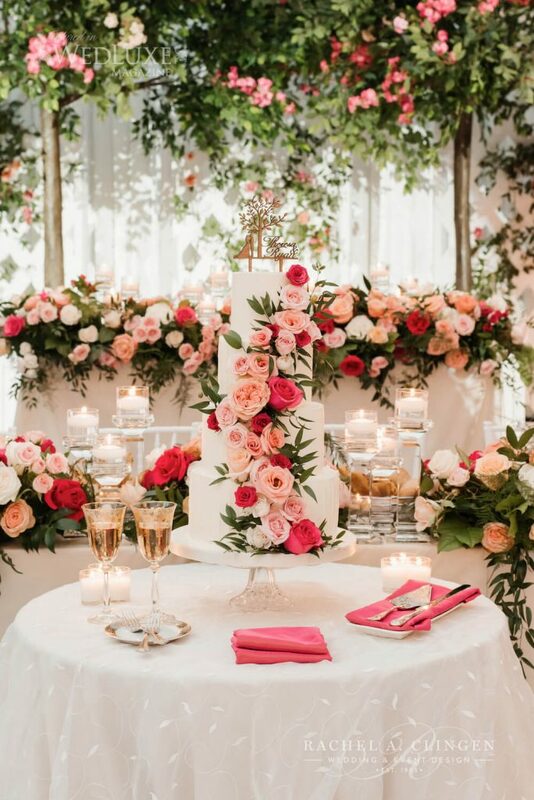 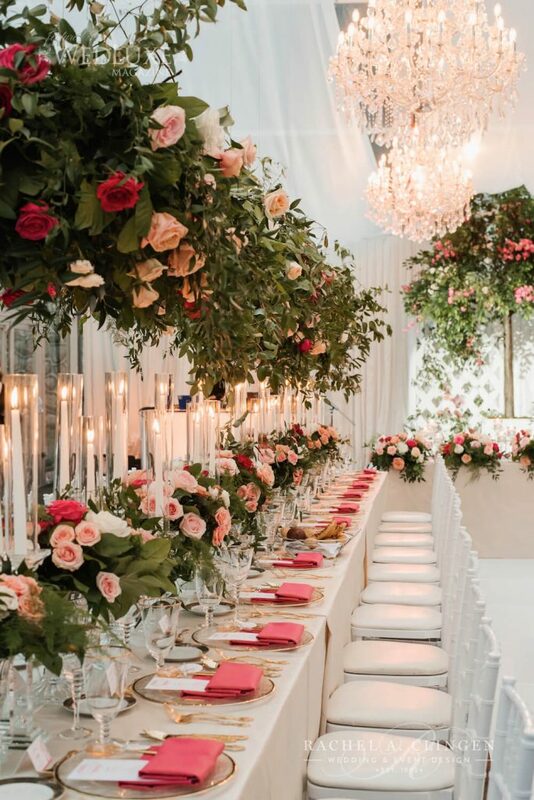 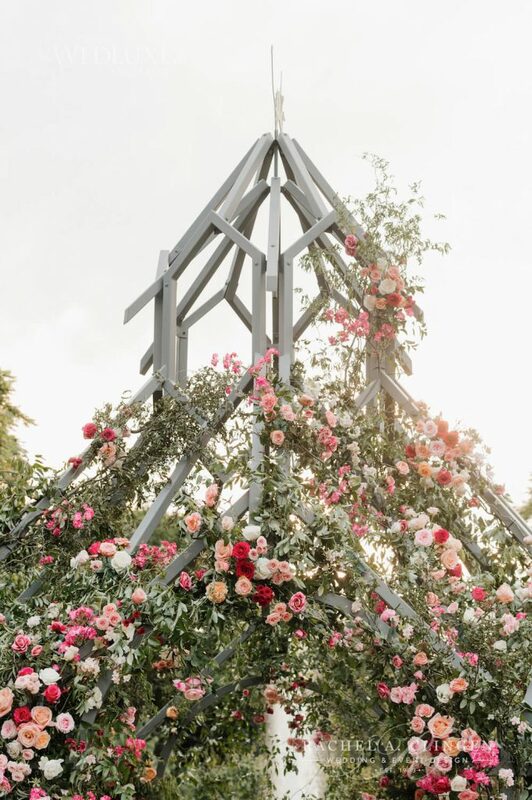 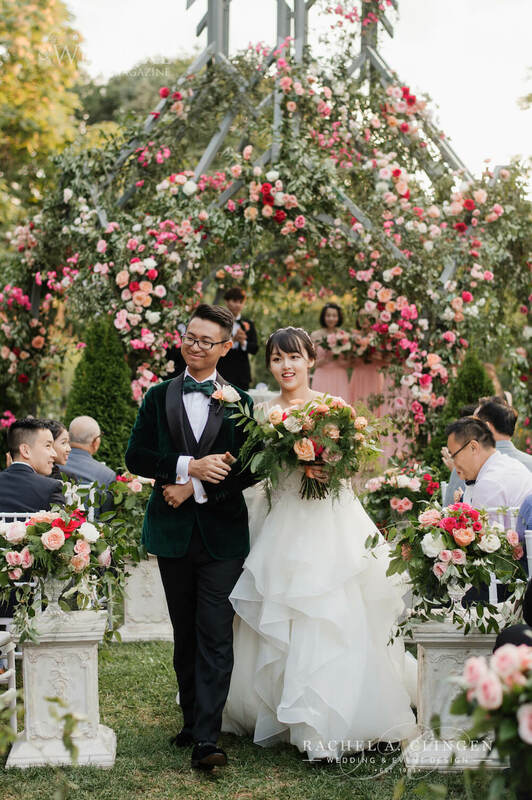 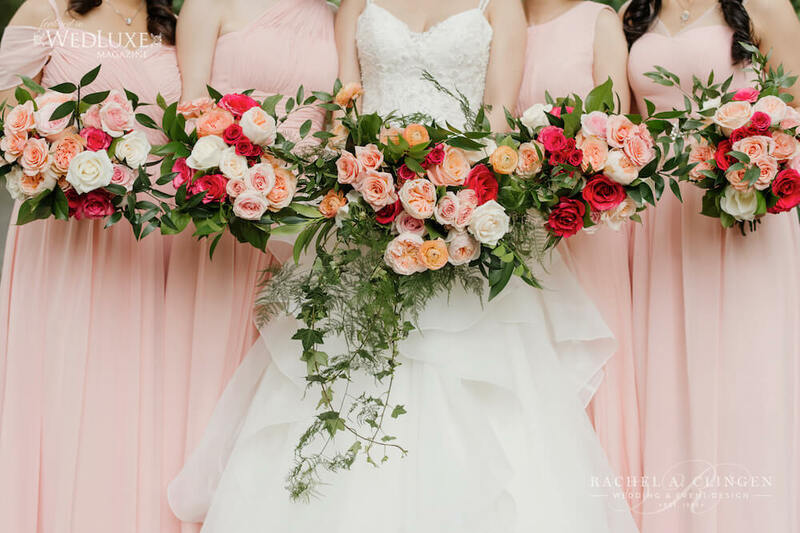 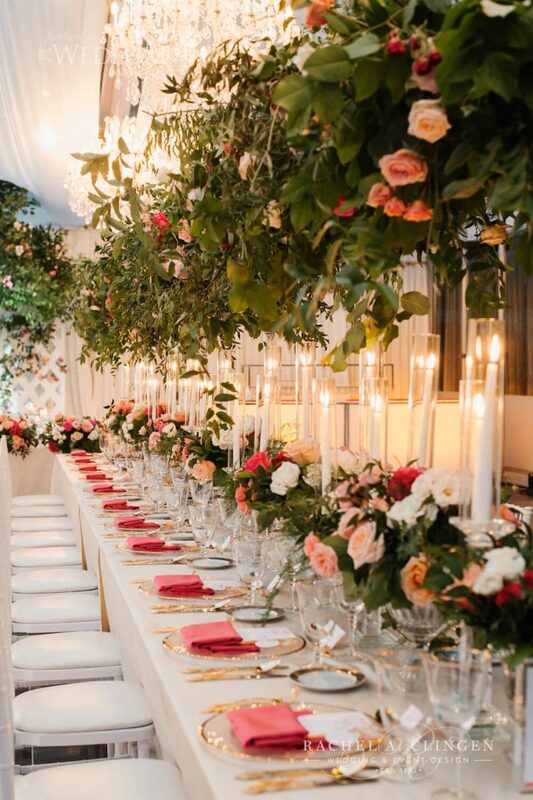 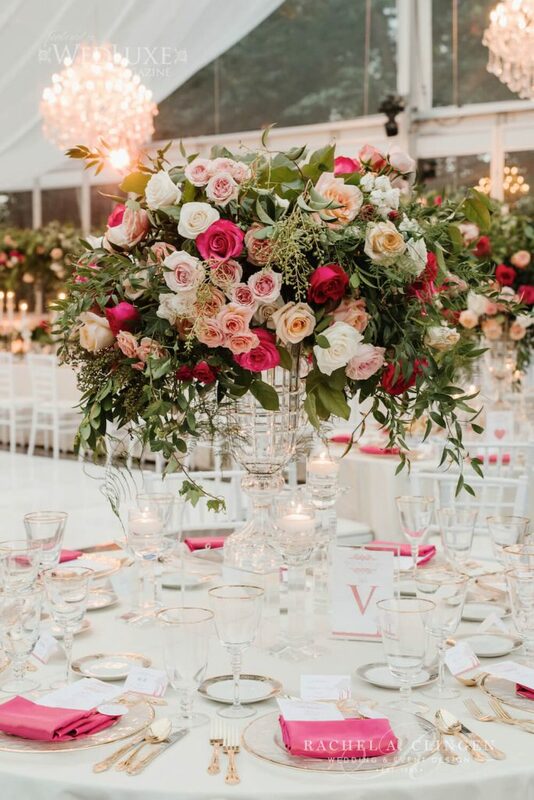 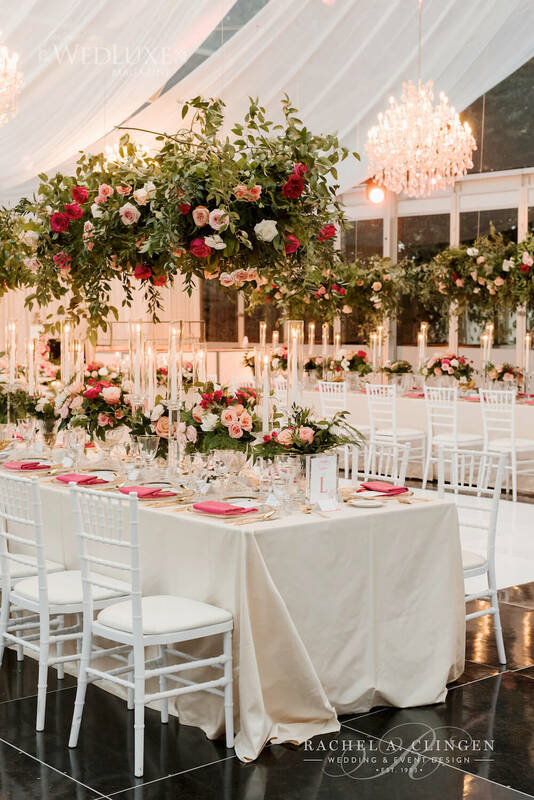 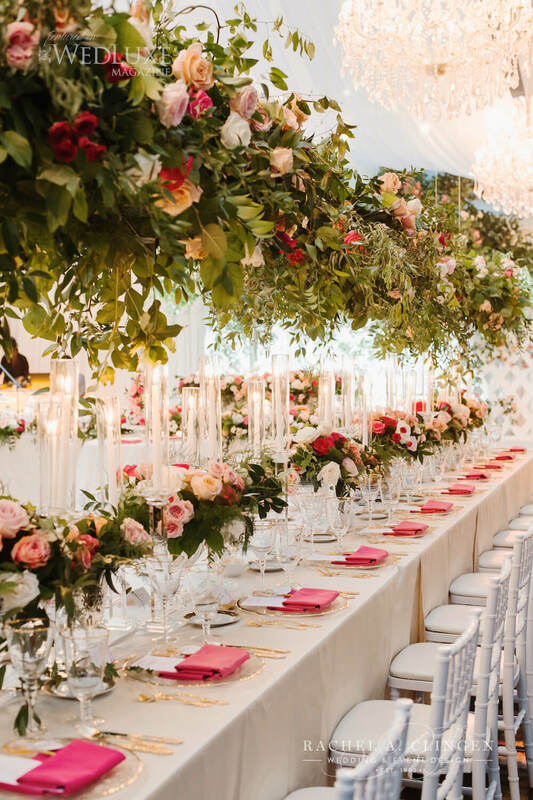 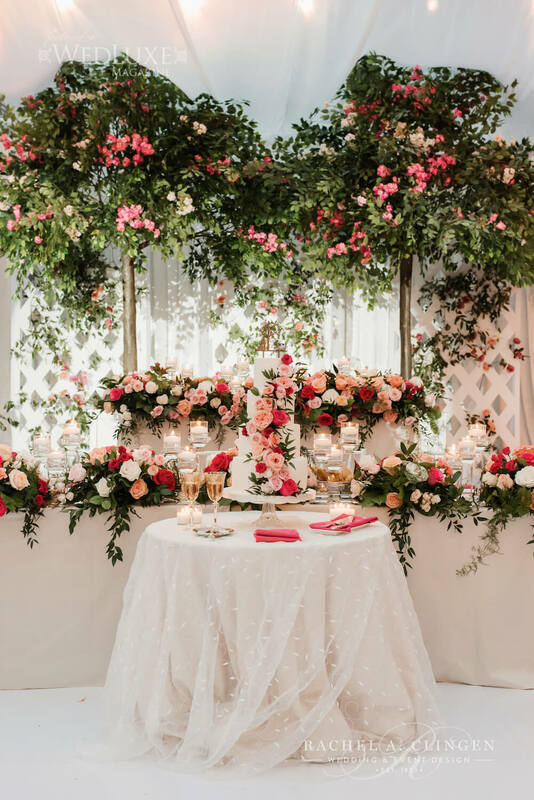 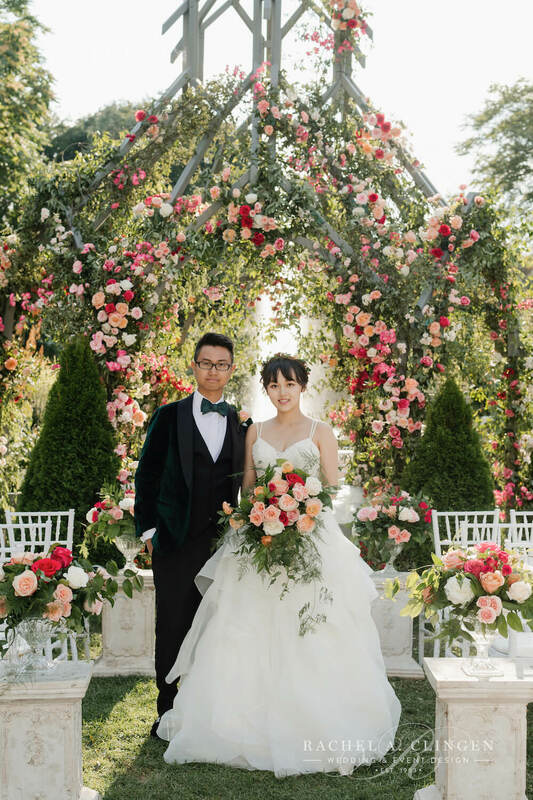 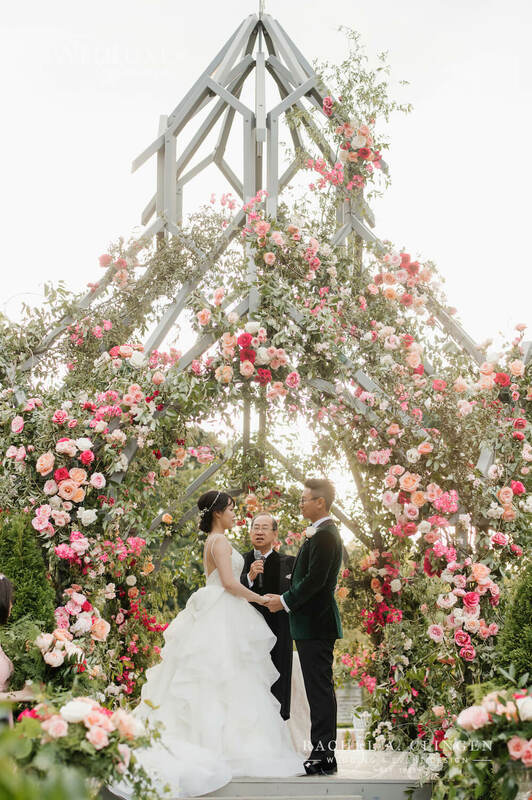 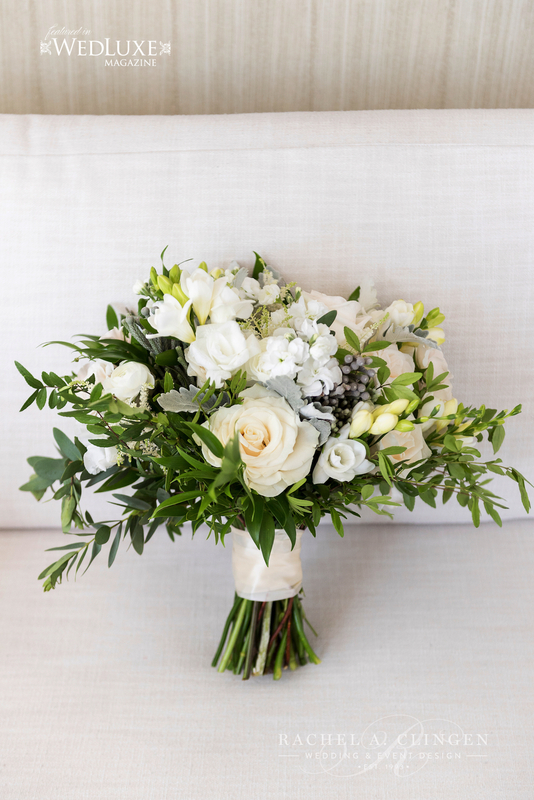 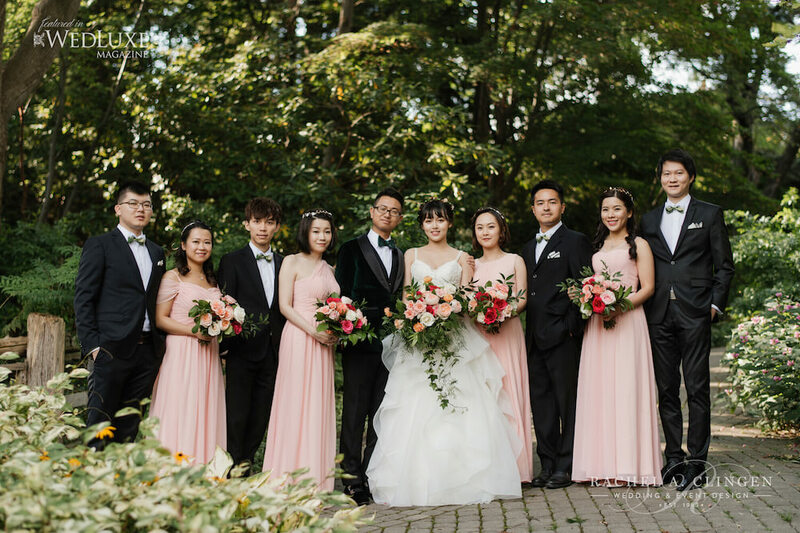 Our asymmetrical and organic floral structure loaded with garden roses and fresh greens added romance to the stunning natural back drop of the evergreen backdrop, but the floral gorgeousness didn’t stop there. 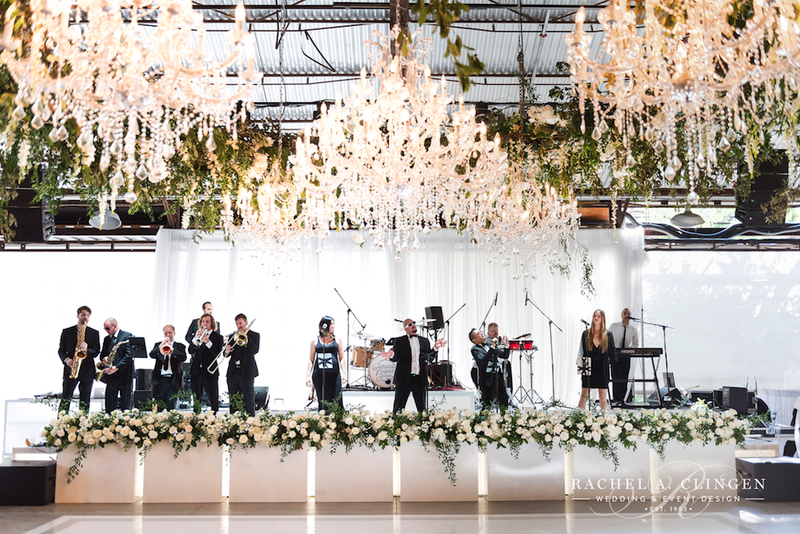 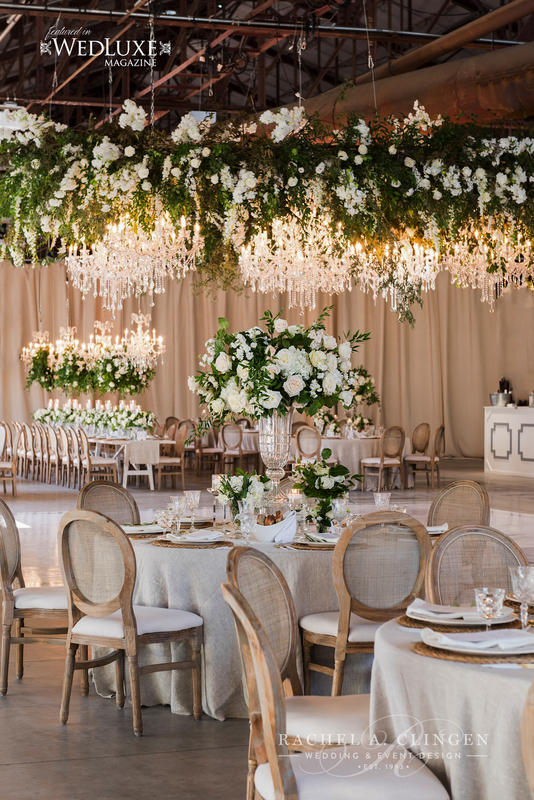 Our team designed an incredible suspended floral structure surrounding oversized chandeliers, over the the dance floor. 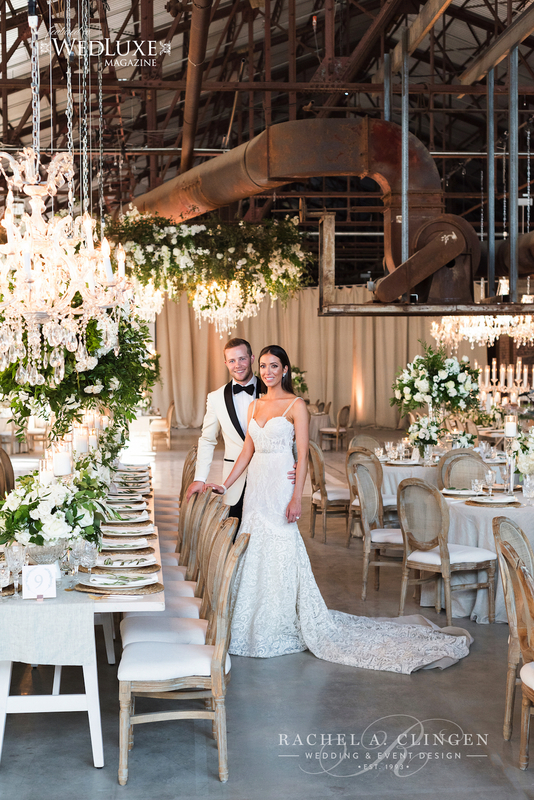 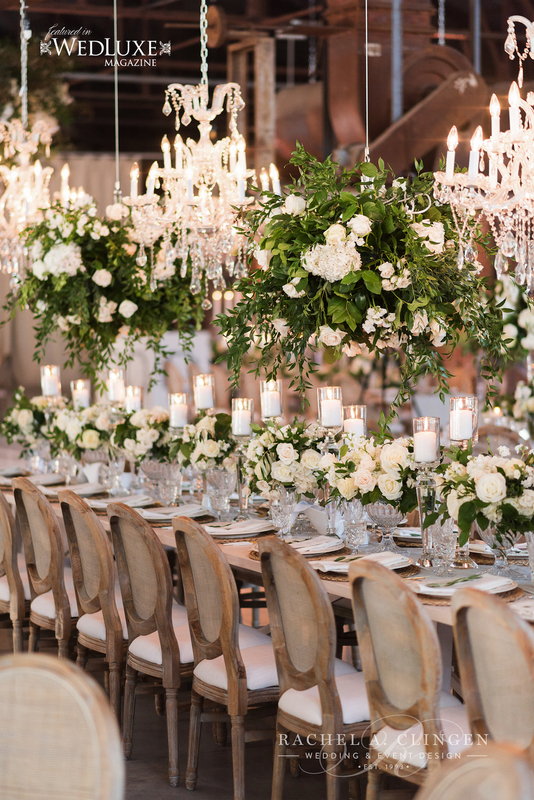 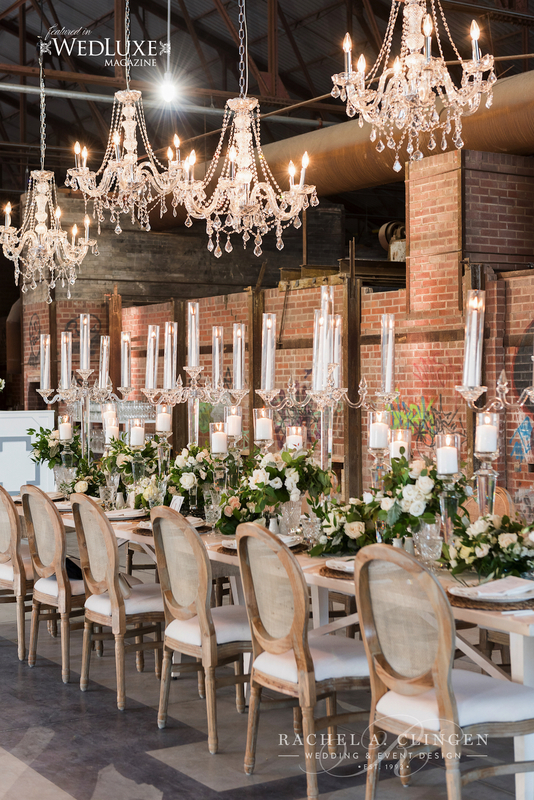 Elegant and refined details, like crystal candle sticks and linen rattan chairs were carefully selected to create a design juxtaposition against the raw industrial space. 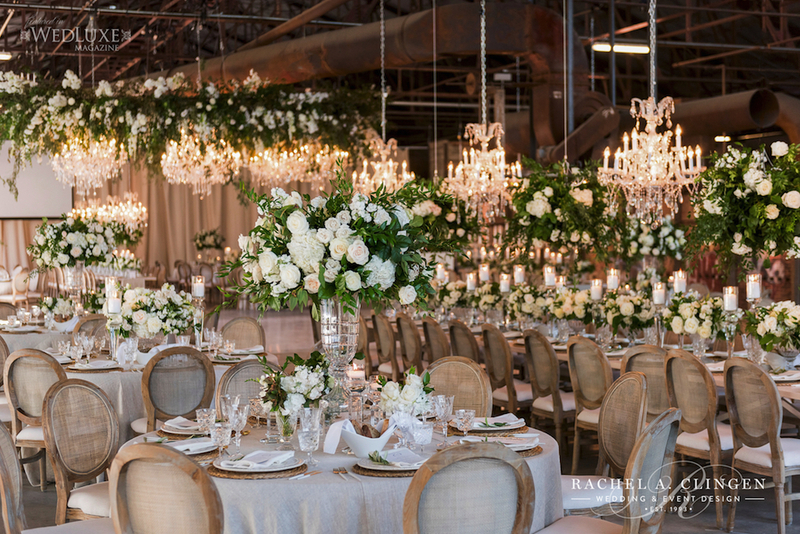 We are thankful for every opportunity to design for our clients, but still after 25 years, it still gives me the greatest pleasure to mix rustic with refined elements. 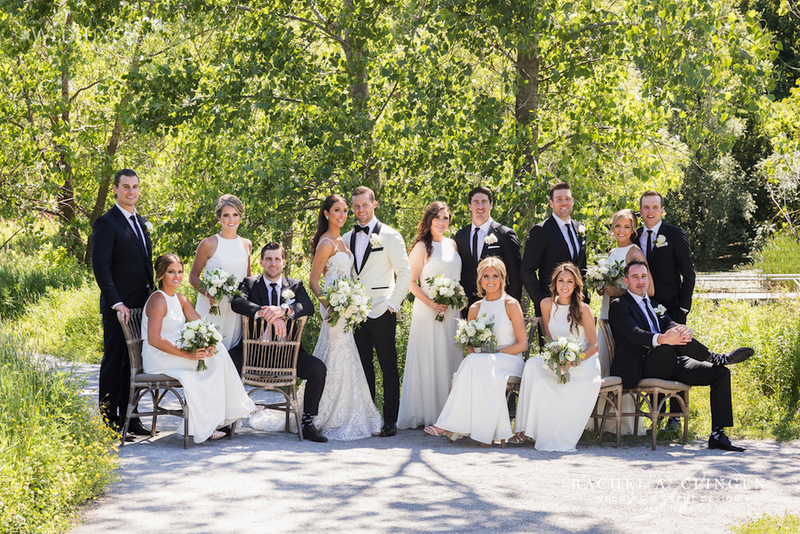 Such a wonderful day with an A-list team. 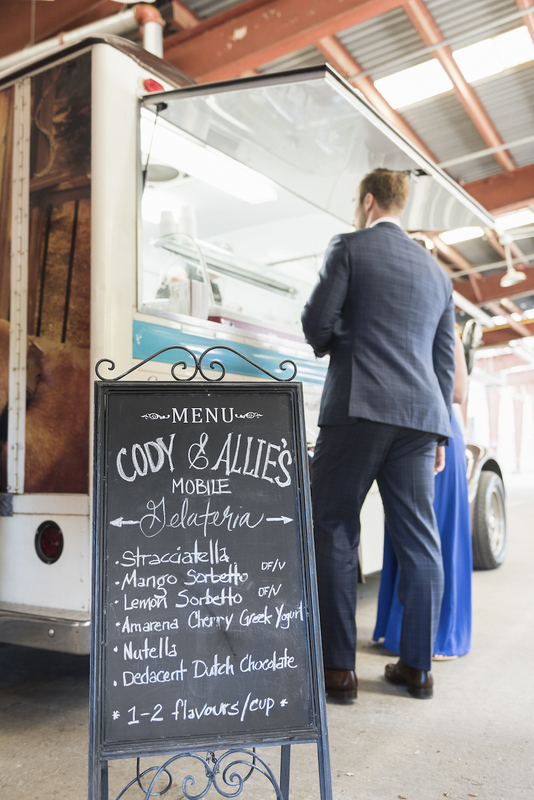 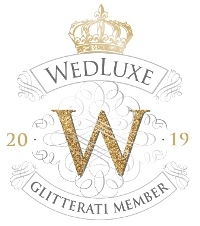 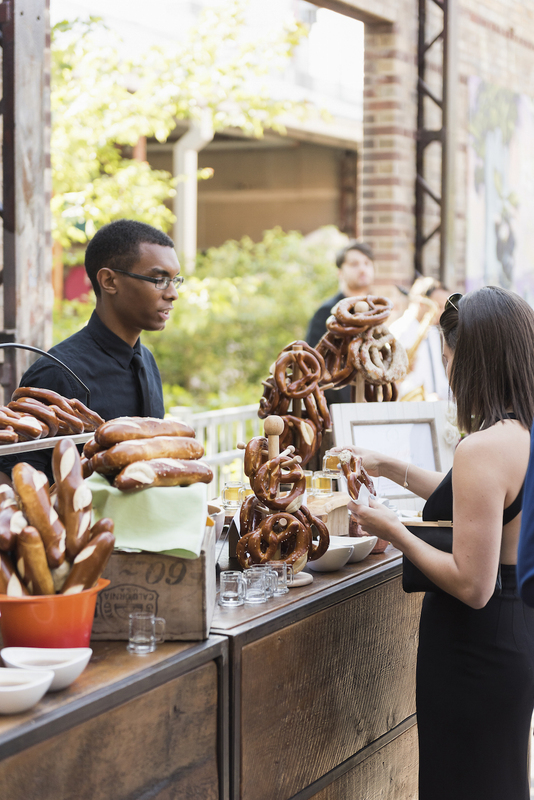 Scroll down to see all the amazing vendors!